exists also at Puerto Velasco Ibarra on Floreana. 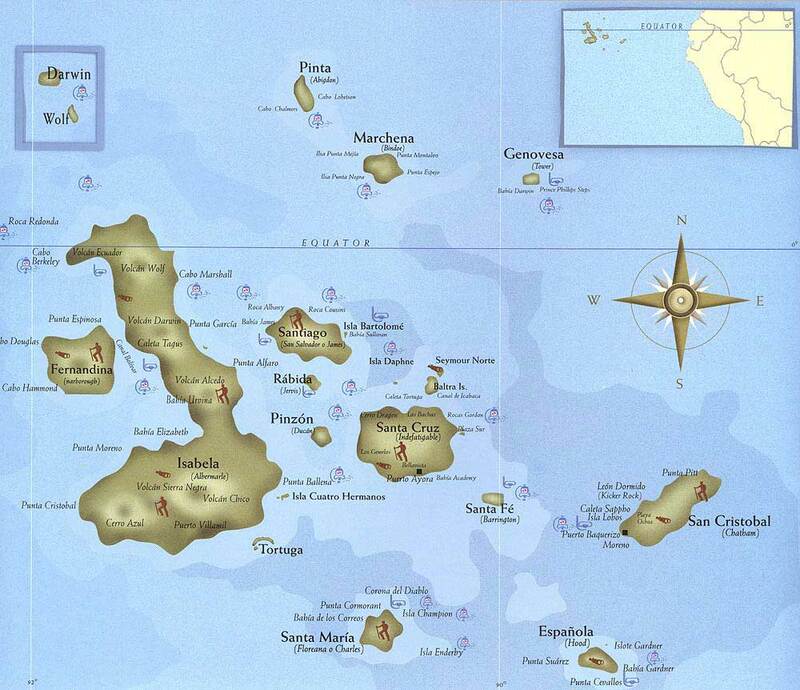 The Galapagos Islands are 600 miles off the coast of South America, in the Pacific Ocean. They are one of the four regions of Ecuador, and are located on and near the equator. The islands were formed by volcanoes that bubbled up out of the ocean millions of years ago. Lava slowly built up underwater and escaped from inside the earth’s cord. This formed undersea mountains. As the lava continued to build, the lava tops broke through the water and formed islands. The oldest islands are thought to be three to four million years old. The islands are still forming for there was a recent eruption and lava flowed down the side of the island and into the ocean. A chain of islands is referred to as an archipelago. 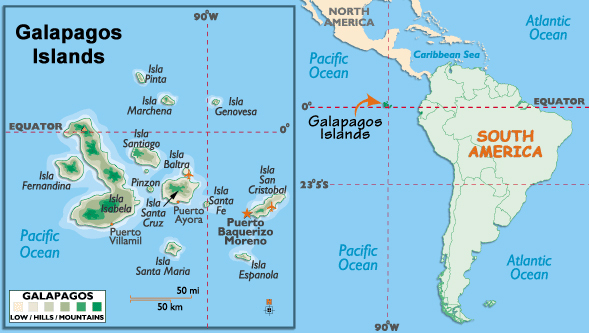 The Galápagos Marine Reserve (GMR) lies a thousand kilometres from the Ecuadorian mainland and covers an area of around 133,000 km2 (51,000 sq mi). The Galápagos Islands and the surrounding waters represent one of the world’s most unusual ecosystems and are rich areas of biodiversity.